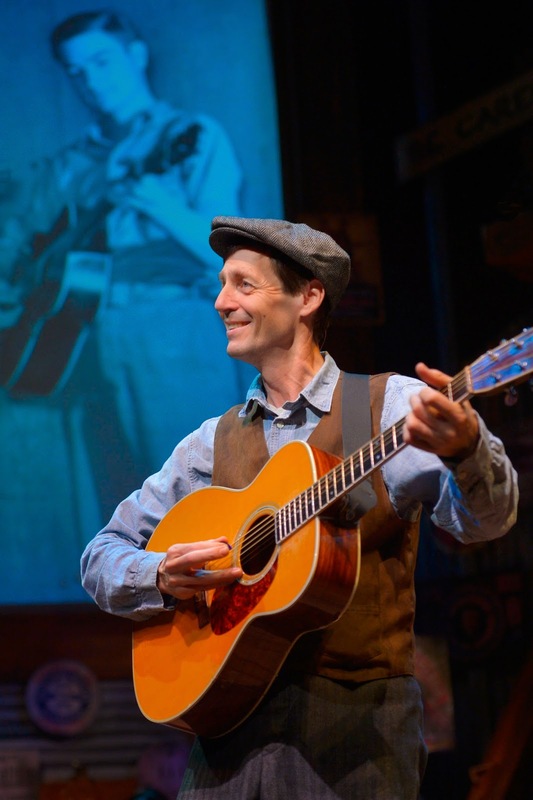 Part theater and part concert of old-timey music, The Theatreworks Regional Premiere of Randal Myler and Dan Wheetman's "Fire on the Mountain" is a fun night in someone's old barn. 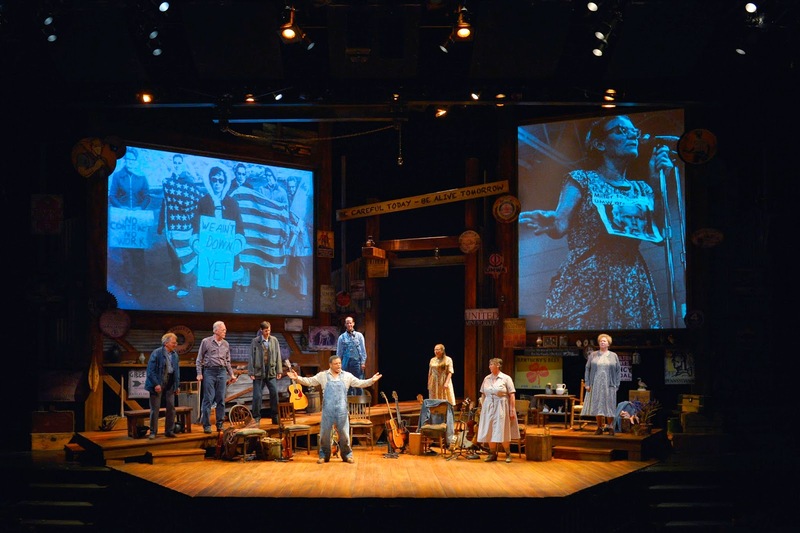 You'll get a little coal country history, a lot of nostalgia for the tough old days in Appalachia, plenty of songs (thirty-six, according to the playbill) and some excellent performances. But you have to love this music, because after awhile each song starts to sound like the last one and the next one. 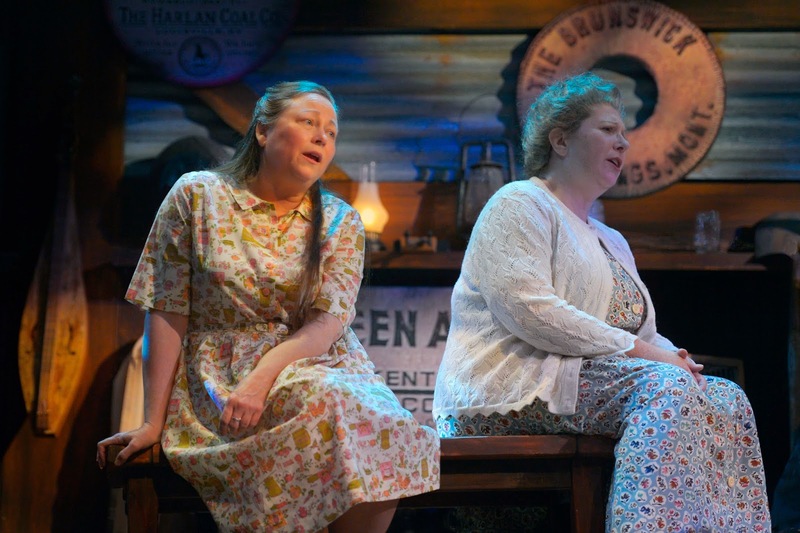 Molly Andrews and David M. Lutken are really, really good. Andrews sings unaccompanied often, in the Irish-y falsetto that makes up so much of this style of music, while Lutken plays a whole series of instruments and his voice has its own special timbre. When the entire ensemble sings in gospel harmony we can feel the strength that comes from a top flight cast who loves what it's doing. For us, however, the attempt to weave so many songs into a story shortchanges each one. Each song gets a few verses and choruses and then it's done. You do understand the point each is making, but you get little emotion out of it. The show would have far more power if they allowed the songs and the musicians some room to breathe. 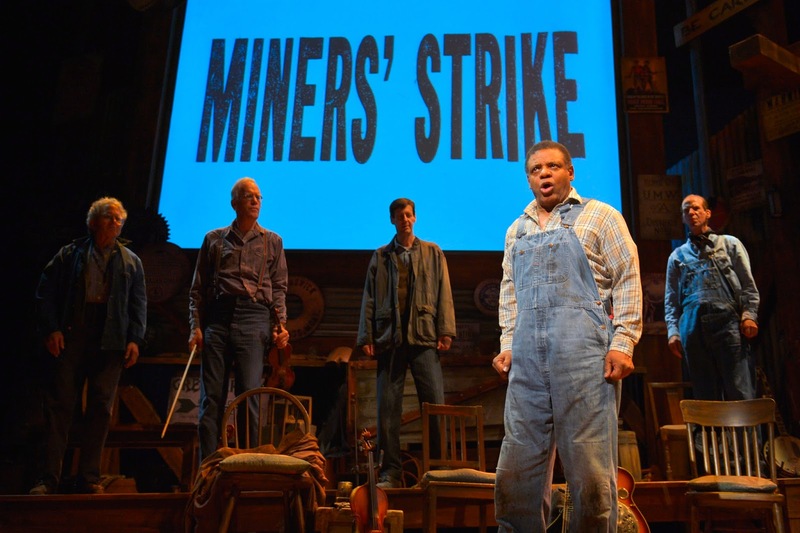 Harvy Blanks is the one black actor in the cast and his songs are few, but excellent. The others have individual moments, but this is pretty much the Molly and David Show. 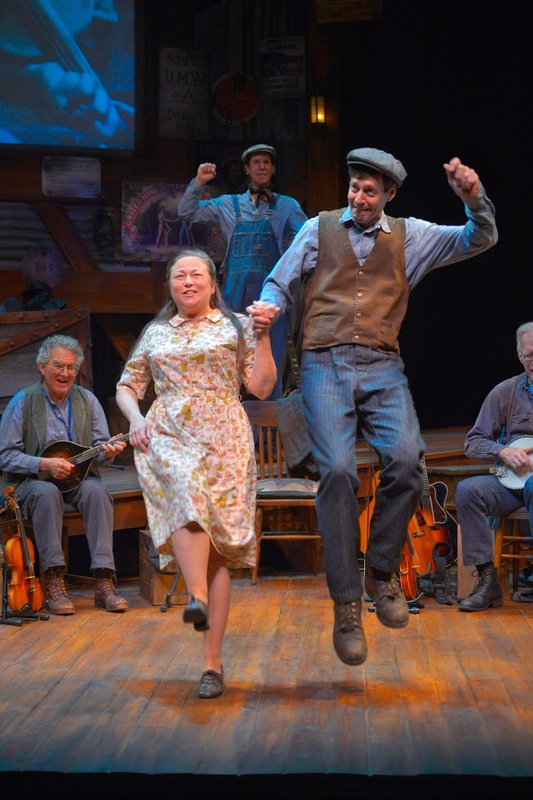 If you love Appalachian music you will be in old-timey heaven. 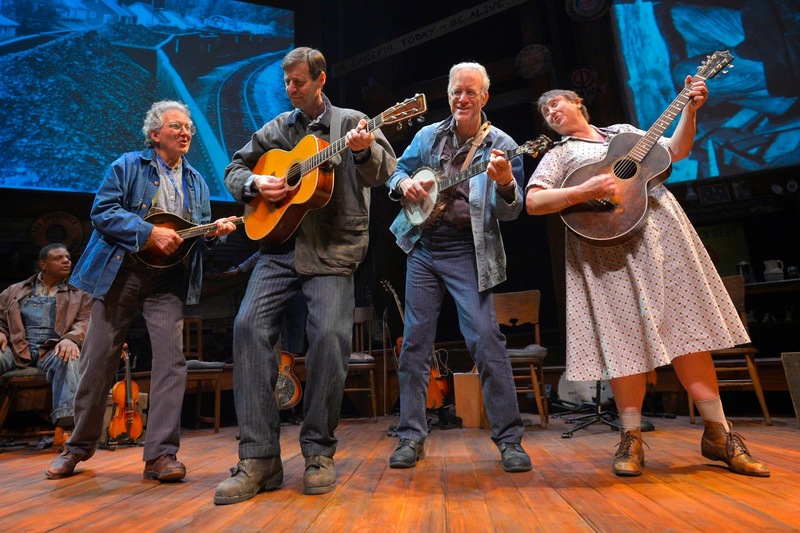 The San Francisco Theater Blog Awards Division awards "Fire on the Mountain" Three Stars. 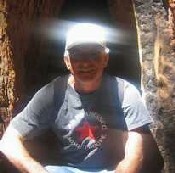 There are a few show-stoppers, such as Lutken and Tony Marcus's version of "Dark in the Dungeon," Andrews's "Single Girl" and an uncredited U. Utah Philips song by Lutken and Andrews entitled "Miner's Lullaby." They sing that entire song and it's a true heartbreaker. Look forward to ninety minutes with no intermission.